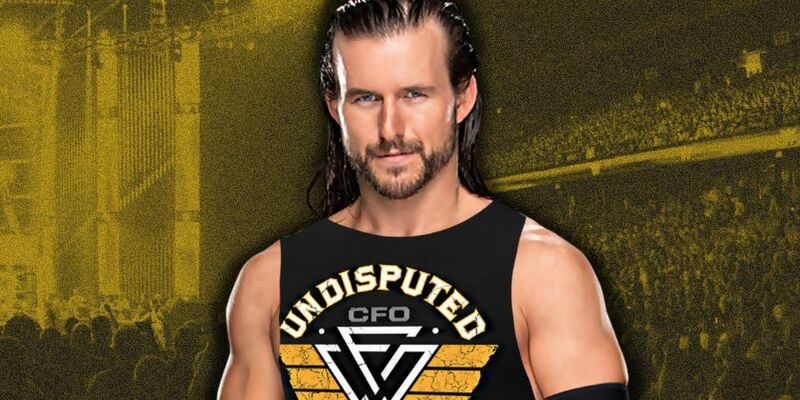 - Below is a new promo from Adam Cole to promote his face-off with Johnny Gargano on tonight's NXT episode. The two will battle for the vacant NXT Title at "Takeover: New York" event. "Tonight, I'm going to go face to face with the man who hasn't earned his championship opportunity," Cole said. "A man who will let down his fans once again at 'Takeover: New York.' That man is Johnny Gargano. I can't wait for Johnny to come down, look me in the eyes so I can tell him he will fail once again. He can't beat Adam Cole 2 out of 3 falls, he can't beat me 1 fall and I'm going to tell Johnny that to his face. Johnny, you're a let down, you're a failure, and you're not a champion because when Adam Cole leaves the Barclays Center, he will walk out as the new NXT Champion. Johnny, that's not a threat or a promise, that, Johnny Gargano, is undisputed." - NBC Boston picked up on Gronkowski's appearance at the USO Metro DC 37th Annual Awards Dinner in Washington, DC. and mentioned the rumors of Gronk possibly signing with WWE now that he's retired from the NFL. NBC tried to bill the dinner as a WWE charity event, but this is something that has been held for decades, long before WWE ever got involved with the USO. There's no word yet on if Gronk was there with the WWE crew, or if he was there on his own, or possibly tagging along with his good buddy Mojo. There's still no word yet on if WWE has interest in bringing Gronk back for an appearance or signing him for a possible career. As noted, Mojo spoke to TMZ Sports this week and said he believes we will see Gronk in a WWE ring again. - Today's WWE NXT UK episode saw WALTER and WWE UK Champion Pete Dunne sign their contract for the match at "Takeover: New York" during WrestleMania 35 weekend. WWE also aired a video package looking at WALTER's path of destruction since arriving earlier this year. You can see that promo below, featuring comments from WWE Performance Center Coach Robbie Brookside and Sid Scala, who is the Assistant to NXT UK General Manager Johnny Saint.